← It’s a laneway house world! The laneway house is now on an accelerated completion schedule. Because we have to be ready for the Vancouver Heritage Foundation‘s Laneway House Tour, we will be working hard to present a nice looking, almost-finished house to the participants. And by “we” I mean our builders. So it was good to meet with Laurel and Angelito from Novell this week to see what’s happened and talk about what will be happening. The rain-screening is complete on the exterior and just needs the sign-off from the home warranty inspector before the Hardie Board goes on. 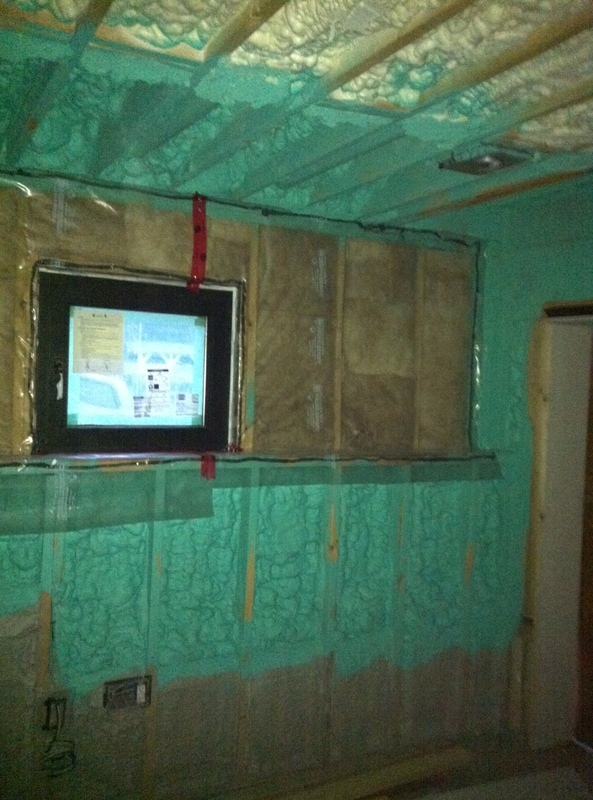 The interior has all been insulated — and well-insulated, too. We have a combination of batten and spray foam. 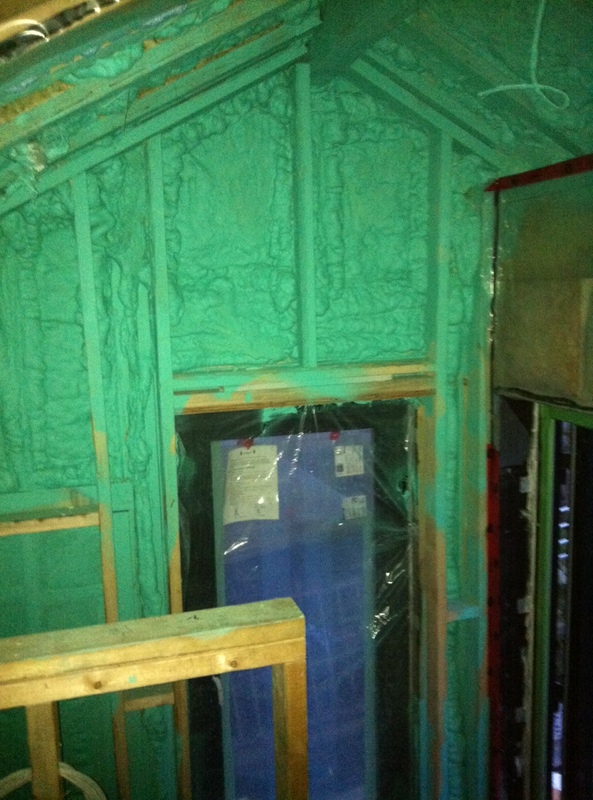 Here is batten above and closed-cell spray foam below. Here’s the gable over the stairs with spray foam. 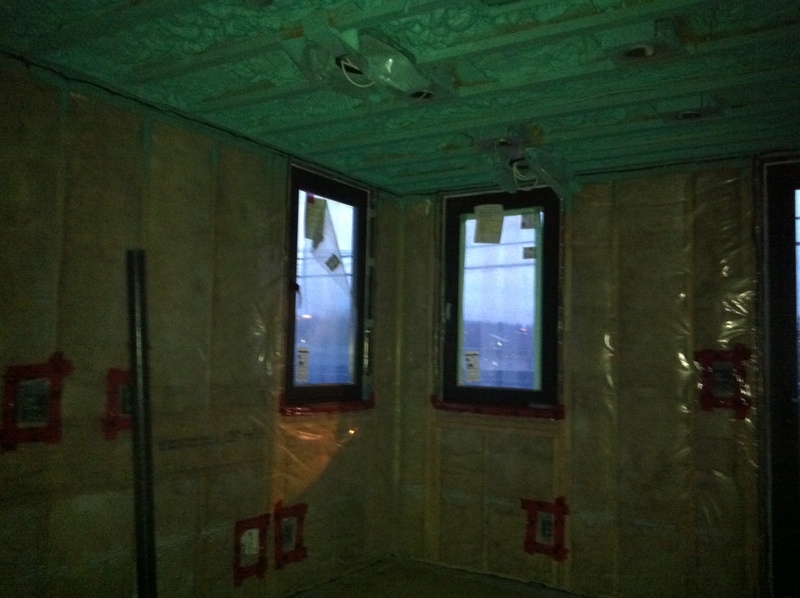 You can see the packages of tiling here — ready to be installed once the special water-resistant drywall is in place. 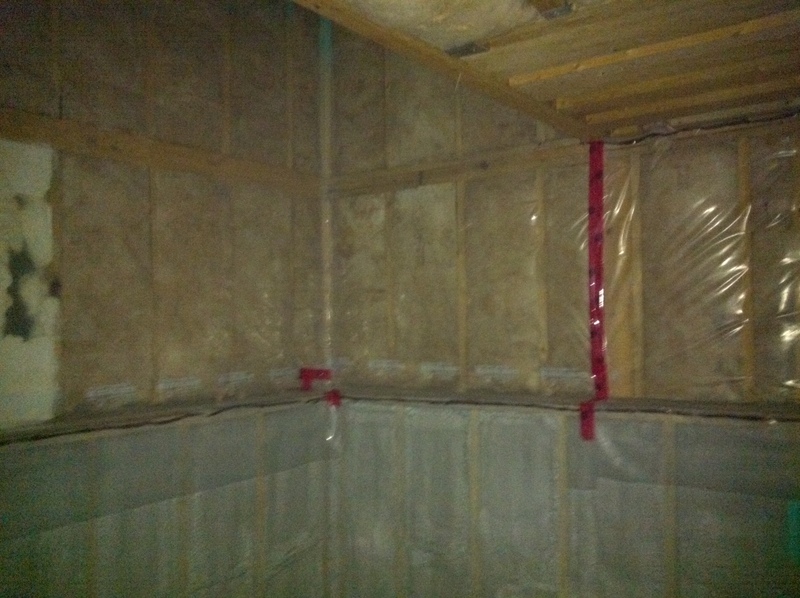 The spray foam is a combination of open-cell and closed-cell. Monday we will meet with the landscaper. There’s not a large area to be landscaped, but we want it to be extra nice, for ourselves of course, but also for the people in the Main House and for the neighbourhood. It may be a little cool in the house for the tour, Fortis isn’t scheduled to come in until October 22 to hook up the natural gas for the heating system, and we probably won’t have the counters installed in the kitchen. 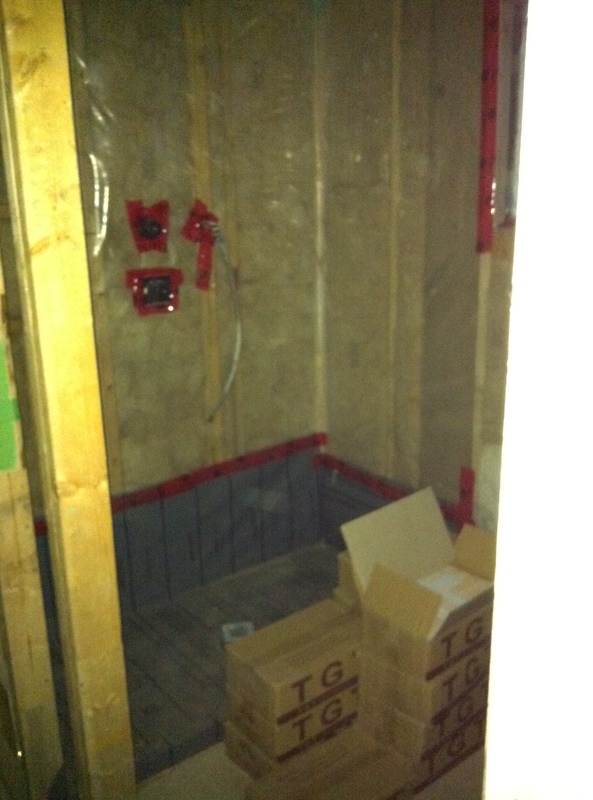 But for the most part we will have a completed house. Posted in Decorating, Laneway House, Small House and tagged Lane Home, Lane house, Laneway House, living roof, Small House, Small Style, Vancouver Heritage Foundation Laneway House Tour. Bookmark the permalink. It’s so nice when there’s lots of progress in a short amount of time. Do you expect to be moving in in time for Halloween? We would love that! But we can’t count on being in the place until the end of November. There’s still lots of little things to be done, plus that crucial final inspection.